Scenic, spacious, peaceful, and accessible, Fetch Dog Park is the perfect place for dogs to play and for owners to bond with their dogs. The spacious large-dog and small-dog areas each have a water station, waste bags and disposal bins, and sheltered seating. 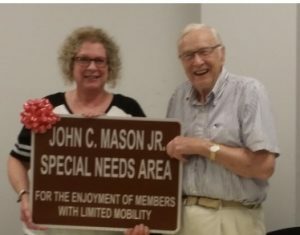 The special-needs area is for the enjoyment of members with mobility issues. This area has accessible entry via concrete pathways and seating areas. Handicap parking space is provided. 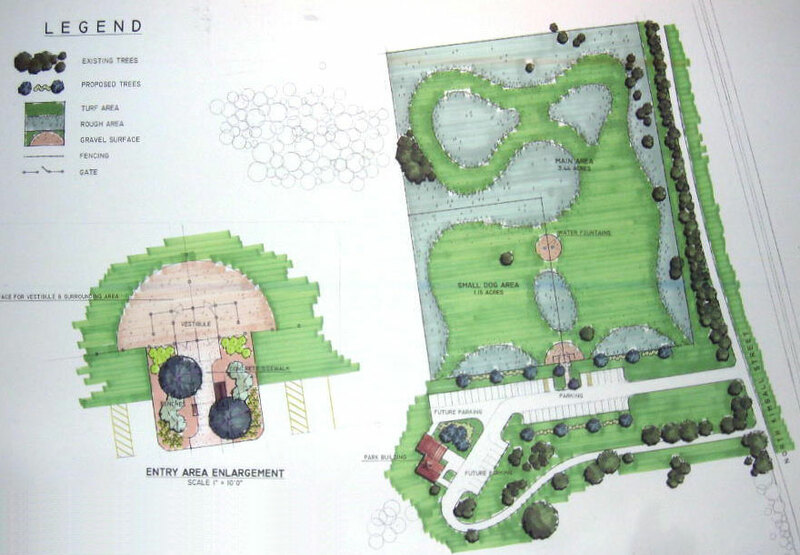 Future plans for this area include the addition of a sun-shelter for the seating area. This special area of the park can also be used by owners who would like to keep their dog separate from other dogs that happen to be in the park on any given day. 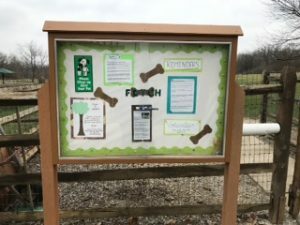 Serene Espenscheid Park surrounds the dog park and offers an extensive trail system in a woodland setting, abundant with wildlife, prairie grasses, and Stoney Creek. Security gate entrance with separate double gated areas for large and small dogs.